This photograph truly resembles the class and sophistication of Elizabeth and Cullen's wedding. 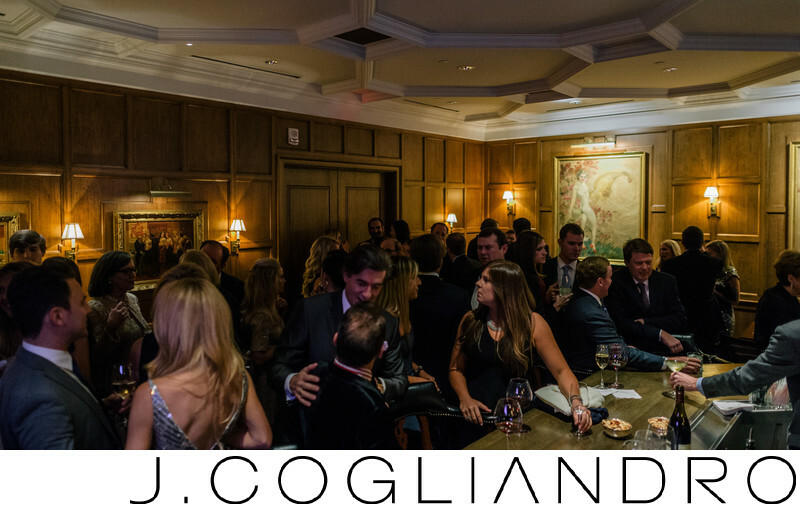 The bar of the Coronado Club, which was the venue for the rehearsal dinner, is the essence of class, with its fine blond wood paneled walls, which match the elegance of the guests. We use very little photoshop, the true nature of the wedding comes through in these spanning shots. Location: The Coronado Club, 919 Milam St #500, Houston, TX 77002.